Dr. Carolyn is a gifted and skilled Chiropractor, who genuinely connects with her patients. She treats everyone with kindness, respect and an open mind. She grew up in Onalaska, WI, and continues to live in the surrounding area with her husband and children. We love having new patients! Whether you find us though a friend or online, we always welcome new faces. We strive to give our patients the very best chiropractic care available. We also work hard to make sure to offer the most up-to-date chiropractic services so that you are able to walk out of each appointment feeling even better than you did after the last one. It is always our goal to improve your life through chiropractic care. 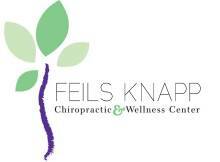 Dr. Knapp is fantastically attentive in her care and treatment! She worked with me and my body to find the root of my lower back pain. Feeling so great! I just choose this office out of the phone book....and I'm sure glad I did!!!! Very professional, friendly staff....made me feel welcome very first time I arrived. Dr. Carolyn and I would discuss my progress, and needs, and she would address those, not trying to add on additional adjustments I might not need. My neck pain is under control, and after giving me some simple exercises, has continued to stay pain free!!!! Thank You very much, great office experience. I have been seeing Dr. Carolyn for about a year for help with balancing my hormones. None of the therapies I've tried over the years have given me the results she has! To top it off, through muscle testing she recently told me I needed to do a metal detox and get our water checked. Sure enough, water tests confirm high levels of metals from our water corroading our pipes. So thankful for her! I want to start by saying Thank You to Dr. Carolyn! She has helped me repair a shoulder injury that I've been dealing with for over 20 years. I have been to a specialist at the doctor and other chiropractors but none of them were able to resolve the issue. She does an AMAZING job and I would highly recommend Dr. Carolyn at Feils Knapp Chiropractic and Wellness in Onalaska WI. I cannot thank Carolyn enough for everything she has helped our family with. She is an amazing person and we are blessed to have her as our chiropractor. Thanks for going above and beyond every time we see you!